The present generation is geared to sports and fitness activities much more than the older one, thanks to greater stress on looking good and being healthy. Those who have an interest in sports activities like to wear the proper sporting apparels, especially sublimated clothing, before taking part in their chosen sports activities. Sublimated dress for sporting is composed of polyester fabric which can be sublimated as per the needs of the sport. Sublimation refers to the process of transferring a colored graphic onto a polyester fabric. Sublimated printing is a simple process which does not involve too many steps but yield amazing printing quality on polyester fabric. The designs supplied by consumers are designed on a PC by making use of an advanced graphical design application. As the printer cartridge is filled with sublimation ink, the images, graphics etc on sublimated t shirt and sublimated lacrosse shorts have a high quality appearance. Once the graphic or image has been printed, heat press is utilized to transfer same quality image on sublimated shirts and sublimated tee shirts. The ink is transformed into a gaseous state due to extensive heat and it gets seeped into the fabric. Features such as colorfastness, elegant appearance and durable finish have also gone on to make the process of sublimation a perfect one for the creation of sublimation shirt and other apparels. As the sublimation equipment is a compact one, you will find the results to be extremely professional quality and even of international standards. Sublimated tees are in high demand in the markets of USA, UK and Australia. These suppliers clothes are scratch resistant, glossy and vibrant – features which have made the sublimation printing perfect for making different types of promotional products and clothing. These apparels make one of the most popular gifts for sports lovers. You only require the newest sublimation printer, sublimation printing paper, excellent quality dye sublimation inks and hot press. One can easily find sublimation clothing manufacturers in the market today, who are appreciated highly in the domestic as well as the international markets. 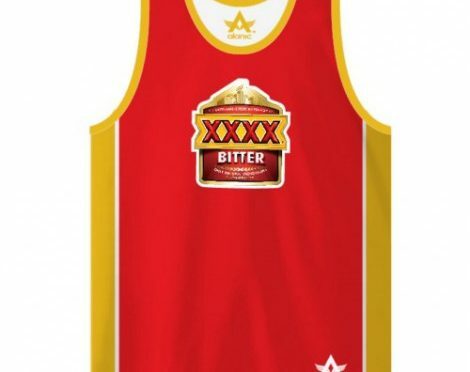 They are experts at making high quality sublimated suppliers suppliers sports clothing and making them available at market leading rates. They offer just the type of clothes that potential buyers want at the most competitive rates to reduce the costs of the consumers.